The comments made by Donald Tusk yesterday in front of the EU Parliament, in which he made a solemn appeal to MEPs (and implicitly to his 27 Council colleagues) to consider favorably a long term extension of Art.50, are very worrying. Casting the MEPs in the chivalrous role of defending their “European” (British) compatriots interests, which are being ignored by their national representatives, may flatter the Assembly; it may not, however, pay appropriate attention to the overriding interests of the European Union. At present, and until April 12th, it is in the unilateral gift of the UK to choose between three alternatives: “No deal” – “Revocation of Art.50” – “Approving PM May’s deal”. Any other plan would require the unanimous approval of the EU 27 and of the European Parliament as well as committing the UK to elect MEPs on May 23rd. a) The UK’s “plan” for completing the Brexit process. b) The conditionality the EU should impose in order to grant the request. c) The impact on the EU. – No negotiations on the “future relationship” until the W/A is approved. This would, nevertheless, allow significant amendments to the “Political Declaration” to incorporate, for instance, instead of aiming at a “deep, ambitious and comprehensive relationship”, a more specific desired outcome, for instance, the option emerging from the current process of “indicative votes”. Nevertheless, as the declaration is not “legally binding”, the provisions of the W/A should remain unchanged so that a fallback position (insurance policy) – protecting the Good Friday Agreement and the EU external borders – would apply if negotiations dragged on beyond the “transition period” or were ultimately unsuccessful. If the plan called for approving the PM’s deal together with a “confirming referendum”, then every effort should be made to hold it before June 30th so that elected MEPs would not be required to take their seats if “leave” was confirmed. (Though of relatively trivial importance, the EU should insist that all costs and indemnities, payed to British MEPs by the EP after their election, be added to the bill to be honored by the UK after its departure. This is mainly to avoid a polemic in the public opinion, damaging to the EP’s and EU’s reputation). 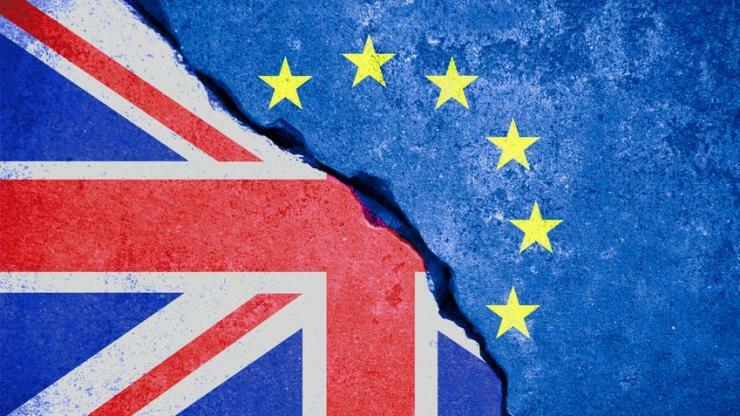 By imposing this conditionality, the EU will encourage the UK to ratify as soon as possible the W/A (or revoke Art.50) reducing commensurately the period of uncertainty that is damaging the economic prospects of both parties. Most economic agents are already bitterly complaining about further delays in fixing the outcome of the UK’s membership of the Union. Last but not least, the Council and each of its Members should carefully weigh the drawbacks of electing UK MEPs in the first place, given the considerable complications that their (temporary) presence will create. – In the UK “Brexit” will be at the center of preoccupations with the possibility of electing 72 “Eurosceptic” MEPs led by Nigel Farage, voters wishing to punish Tories and Labor alike for the shambolic management of the Brexit process. – In the rest of the EU it is the opposition between national/populists and partisans of a more progressive and deeper EU that is the main challenge. The realignment of political forces within the European Parliament could therefore be greatly upset by the presence of the British contingent. This could have strong implications on the selection of the future Commission President and Commissioners, as well as the President of the ECB and High Representative for Foreign Affairs, not to mention the distribution of internal posts within the Assembly itself. These considerations should be weighed against the undoubted advantages of keeping the UK in the EU. My own feeling is that – given the opportunity of remaining in the EU that the UK can trigger unilaterally prior to April 12th – no further extension implying electing UK MEPs should be contemplated.